Cianna - Name Meaning — Is Your Name Helping or Hurting You? Your name of Cianna gives you the desire to understand and to help ... All names are not equal. Cianna, the names you use create your life experiences. Find out how the meaning of Cianna and the energy of your name have shaped your life. 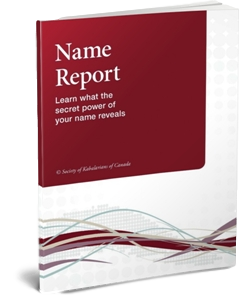 Request a Free Name Report. Your name of Cianna gives you the desire to understand and to help others but, at the same time you can become too involved in their problems and, as a result, worry too much. Your first name of Cianna has made you good-natured, friendly, and kind. People like you at first meeting. Diplomacy is one of your strong points. Because your mind is quick and intelligent and because you are very considerate, you are able to put others at ease by turning aside contentious issues. You make friends easily. Because others often come to you for assistance with their problems, you must guard against being drawn out to divulge confidences.There is a serious side to your nature in that you care about people and have a sense of responsibility to help them. However, you must guard against worry over decisions both for yourself and others. Since you do not want to offend, you are prone to back away from confrontations and arguments for the sake of maintaining the peace. You are not an overly aggressive person but you are earnest in carrying out your responsibilities. Cianna, your particular date of birth determines your unique core purpose, the reason for your life, and the pathway you should follow for ultimate happiness.